Most modern vehicles come with their own multimedia systems, which makes it easy to take your smartphone with you as a co-pilot. 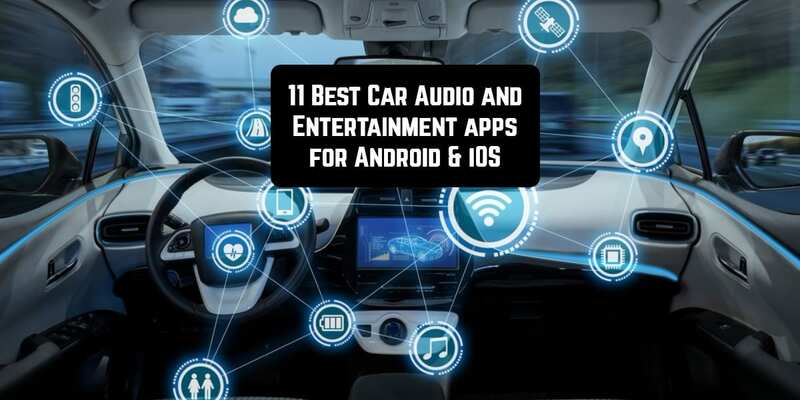 From GPS navigation and traffic radars to music and entertainment, there’s an increasing number of apps designed to make those long hours on the road pass by in the blink of an eye and help you enjoy the technology of your car at its fullest. To do this, you can use an app that integrates to your multimedia system through different ways of connection, or if your car is more on the old-fashioned side, you can always use your phone directly even without internet. Just remember, the apps below are made for the comfort of your trip only. You should always keep your eyes on the road, not on your phone. Safety first, and enjoy the drive! Plus One App for safe driving! Do you have a long road trip ahead? Take Spotify with you! Any good car trip worth its salt cannot stay short on good music. 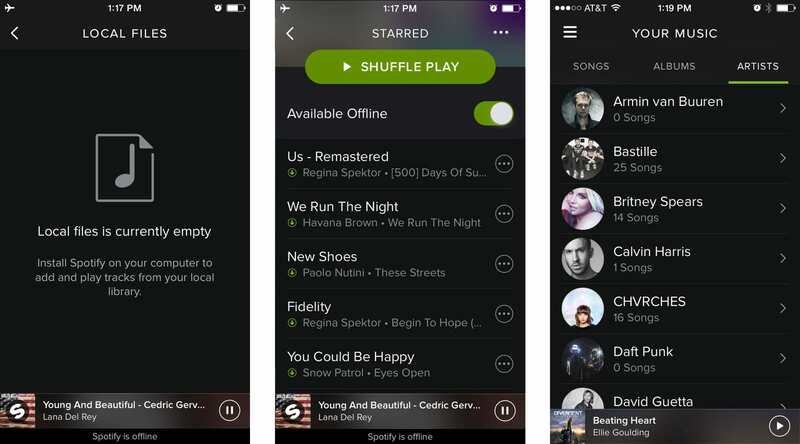 Spotify is still one of the best apps on the market in this regard. 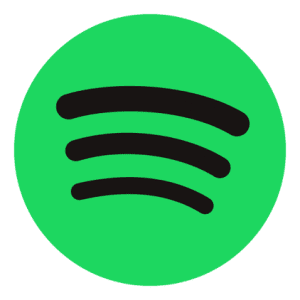 Spotify is the leading application in the field of streaming music. There isn’t a tune that is not in your showcase of 15 million songs. 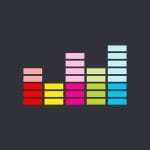 You can create your own playlists with your favorite songs or follow the lists created by other users. If you have a Premium subscription, you can always enjoy all the music without connection and without ads. On the beach or in the mountains, fill your trips with music. 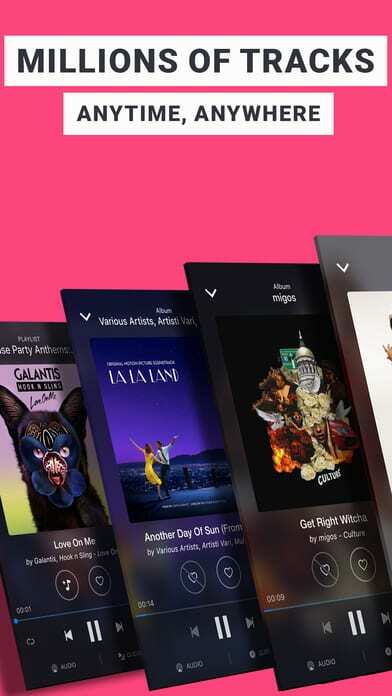 Although less known than Spotify, Deezer is another app with which you can listen to all the music you want for free – it has a catalog with more than 40 million songs – and allows you to create your own lists with your favorites artists and songs. With the Premium subscription, say goodbye to the ads or download the music to listen to it offline. 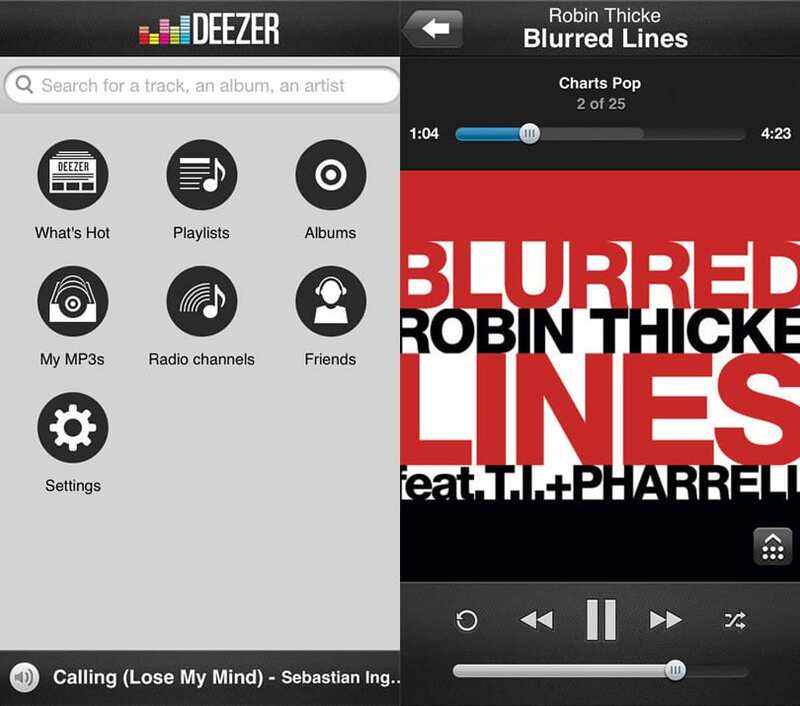 Deezer is also compatible with other devices besides your phone, such as sound systems, smart loudspeakers on cars and voice assistants (eg Amazon Alexa, Google Home). Tired of the same old stations while driving to work every morning? This is an app to listen to radio and music, where we can find thousands of live stations, allowing us also to create personalized playlists according to our preferences (for example, an artist or a genre). For this, the application will create a playlist from the library in which they have more than 20 million songs and 800,000 artists. Apart from the music, you can find any type of station – from sports, comedy to news or the weather. 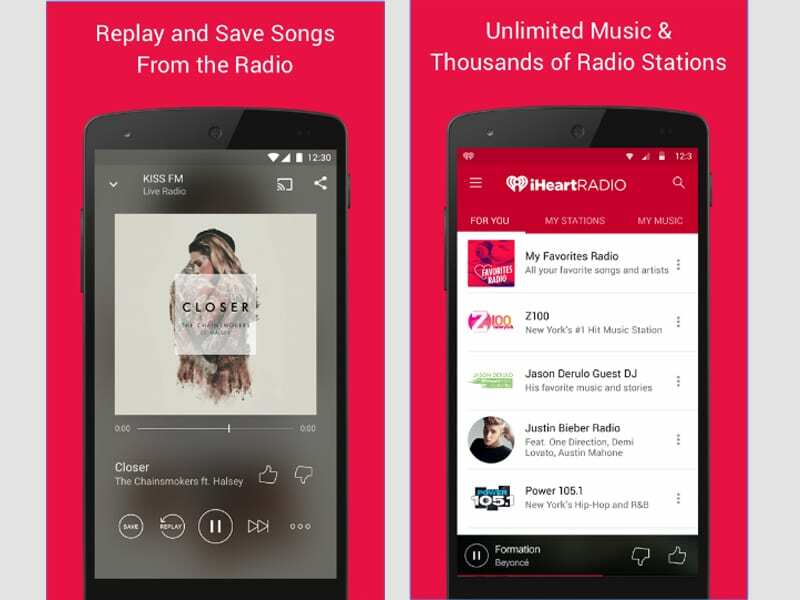 Less known than IHeartRadio but still as good and worth a try. This app was made specifically for tuning to different stations from all over the world while making it easy for you to stay safe while driving. For the last purpose, the creators of the app made sure it has simple buttons and an attractive interface which is easy to use. Car Radio supports different car music systems that you can be connected to automatically or manually. The supported connectivity can be wireless or wired with a USB cable. By the way, they are planning on launching their iOS version soon! Do you enjoy blasting the sound system of your car at full volume? If you want to make the most out of the sound technology of your ride and share the beats with those around you this app can help you deal with everything from amplifier power suggestions, car electrical system suggestions to sub woofer box and Kerf Calculators and much more. Ultimate Car Audio comes in a free version and a premium one that brings you the most accurate tools, calculators and information, from your vehicle right to your phone. Although the name might seem long, the purpose of this app is simple: Create your own sub bass beats! It is very easy to use. With this app, you can create a variety of sounds and signals in just a few seconds from the sound system of your vehicle. Frequency generator and hundreds of sub woofer test tones, subsonic sound effects, and beats are all included in the app’s toolkit. It is an ideal option for those who want to experiment and create new music. There is no iOS version available at the moment, so its use is limited to Android users. Have you ever had trouble figuring out how to switch on the backseat speakers of your car without turning on the full volume of the stereo and all the other speakers at once? Sound Tune is another great app that provides you with a simple yet efficient interface to control the sound system of your vehicle. If you want an easy way to switch between the speakers inside your car and control the music or make use of the sound power at its fullest, this is for you. This is ideal to bring the sound of high-end audio to a basic factory car stereo and speaker set. In sum, Sound Tune is easily performing all operations through a smartphone with an access to a wide range of settings. To start using any smartphone with the audio equipment of our car we need some type of Bluetooth connection. This app helps you automate some of the actions you have to do when you connect to the car stereo. With the interface of this app, the process becomes easier, and you will notice that in a few steps you will be making the most out of your sound system successfully. It is simple and practical and saves you time. At the moment the app is only available for Android users. When we travel by car we create and store numerous memories in the form of photographs. And what better way not to lose them and have them always at the reach of your hand than with Journi. It is one of the best apps to organize the photographs of your trip. As if it were a digital personal diary and with the possibility of including texts and maps of the places you visited. Use it offline, create timelines and synchronize them on all your devices. Get more out of your photos and store all those memories close to your heart with Journi. Kids Paint facilitates the work of entertaining the little ones so that the adults can focus on the road. It is a drawing program with different brushes and colors for children to make their favorite drawings or retouch the photos saved in any of the albums. Kid Paint offers children two different ways to paint. They can make the movement of painting with their fingers as if they were using a real color brush or they can use the machine mode, in which just by clicking on the area they want to paint, it will be completely colored. To start again, you will only have to shake the smartphone. Keeping your eyes on the road and your hands on the wheel is important, but it is understandable that sometimes we need to communicate with other people and make them know that we are on our way. If you do not want to be constantly explaining where you are, Wave is an essential app on your mobile. It is the easiest way to locate your family or friends thanks to a completely private virtual map that points out your exact location. Also, do not worry about that privacy because they can only find you if you give your consent. It is perfect for those trips along with a big group of friends or family in different cars and one destination, saves you time and some long explanations about where you are heading or which turn to take next on the highway. True Motion Safe Driving turns your smartphone into a spy that analyzes all your habits and those of your family as a driver. Detects when someone exceeds the maximum speed allowed, their accelerations and braking, if they distract themselves with the phone or not and lets you know, if the person is a rigorous observer of the rules, or if their driving can be put their lives in danger. This app offers statistics and summaries of your family’s and your own trips to improve their practice at the wheel, so that, in the end, you can save some money on not receiving parking tickets or not getting into accidents. If you have a child or a teenager who has just started to learn how to drive, this app is ideal. It is just perfect for those parents who worry a lot about the safety of their family.